For the foreseeable future, running a hospital, clinic or other health service in Australia is going to have to be done on a tight budget, and it’s how facilities cope with these measures that’s important. After all, issues will doubtlessly arise due to financial restrictions, so let’s take a look at these conundrums can be overcome. Perhaps the biggest concern when it comes to budgetary cuts in the healthcare industry is just how it will affect the quality of service that our intrepid band of doctors, nurses, orderlies and other such staff can carry out. Even though there are several routes that your establishment can take when it comes to working with what limited means you have, one of the most important of these is figuring out how you can use available services to bolster your workforce – and that’s where Australian Health Professionals come in. If you have the staff on board that have excellent professional relationships with one another, superb teamwork is a surefire upshot of this. When times get tough, the human spirit naturally presses us to huddle together to fight our way through the gloom, and this is something embedded even more strongly into the Australian psyche. We look to construct closer relationships and depend upon each other a little more to help us through, and it’s this mentality that can see us take on the biggest challenges and the highest hurdles – with notable success. Whether your speciality is in aged care dietetics, pain management or occupational therapy, when backs are to the proverbial wall, a stronger collaboration and rapport within the team is sure to foster a greater sense of camaraderie and togetherness – and this can only mean good things for patients. In a sense, this togetherness can help lighten the load on healthcare employees, in what can be a very demanding job. Of course, it will come as no surprise to learn that there is a distinct correlation between stressed, overworked employees and below-standard patient satisfaction, and a study carried out by the University of Pennsylvania and Penn School of Nursing confirms it. This shows the importance of spreading the workload as evenly as possible, especially when the schedule looks particularly thin. Teamwork is a superb way to boost morale. Another factor that can seriously affect any healthcare establishment is low morale – the knock-on effects of which can be devastating. Even so, if you have the staff on board that have excellent professional relationships with one another, superb teamwork is a surefire upshot of this – and this is one of the finest ways to give dwindling morale a timely boost. Additionally, healthcare employees that know, understand and respect one another’s efforts during the day-to-day often find that working together can improve results even further. 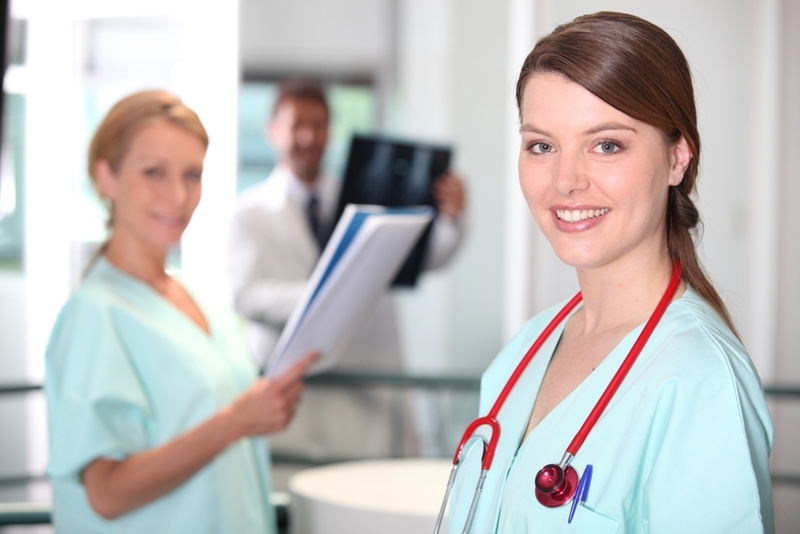 When you use qualified, experienced staff from Australian Health Professionals, you can be sure that not only will they inspire your existing workers to perform even better, but will also slot into the team seamlessly, lending their teamwork skills to an already effective, efficient unit. In today’s climate, ensuring that you have the correct calibre of staff can be a daunting undertaking, which is why we at Australian Health Professionals are on-hand to take the stress and hassle out of it. It goes without saying that any healthcare facility worth its salt will require staff who’ll be able to work to a very high standard immediately, and this is the level that we can provide you with. You’ll be looking for your employees to stand up tall when the going gets tough, so get in touch with our expert team to find out what we can do for you.